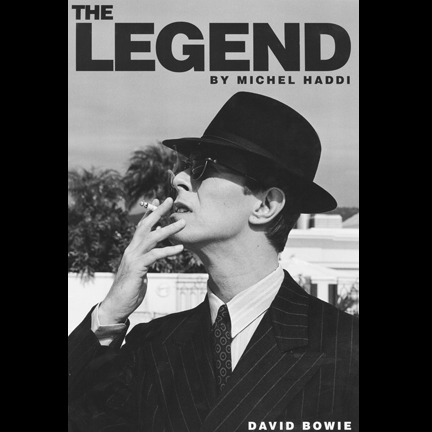 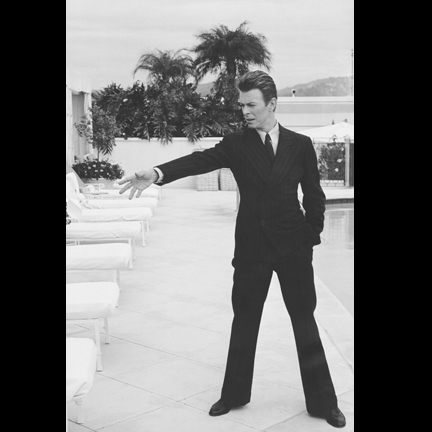 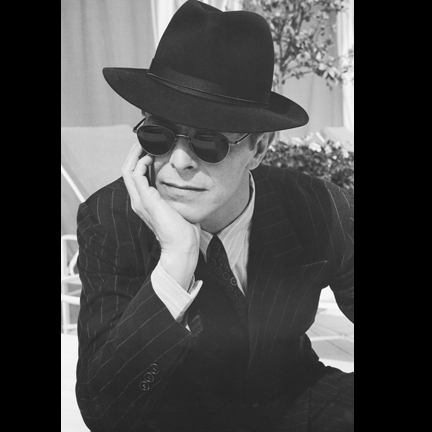 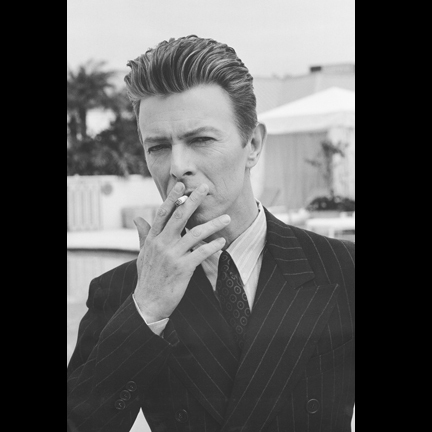 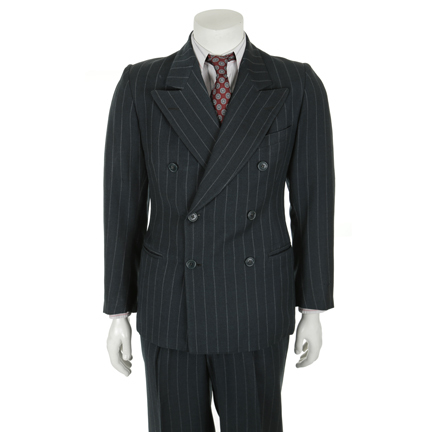 This suit was worn by legendary singer David Bowie during a photo shoot for interview magazine with photographer Michel Haddi. 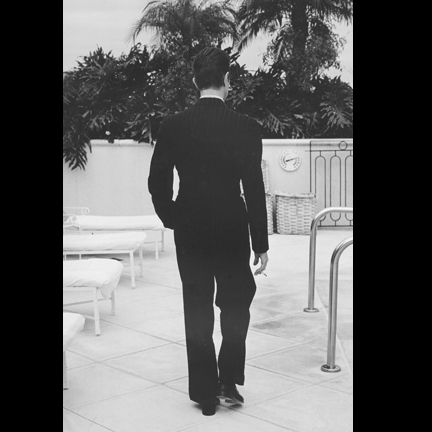 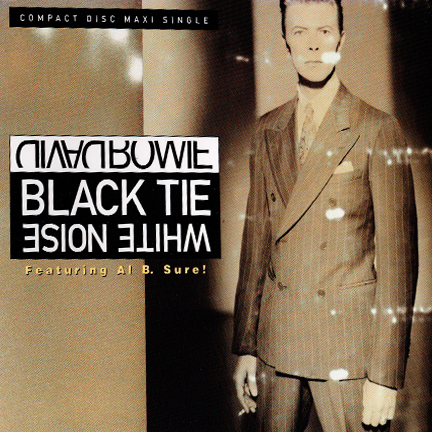 The images were used for the cover of the Black Tie White Noise Album, included in Michel Haddi magazine and coffee table book, and Interview magazine May 1993. 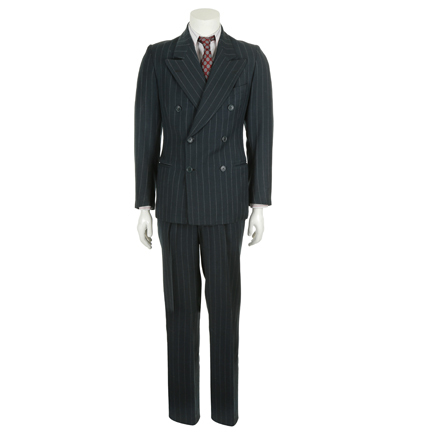 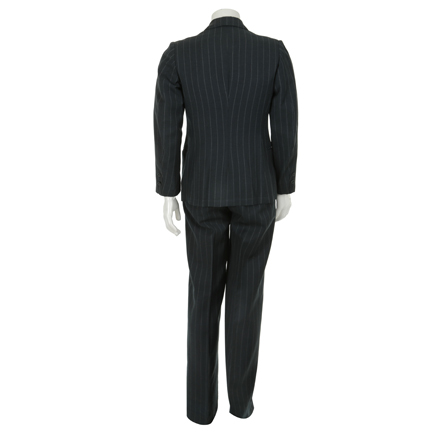 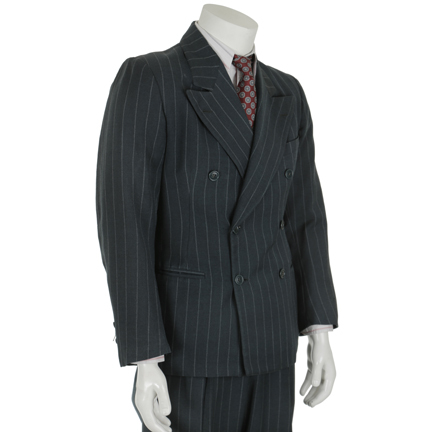 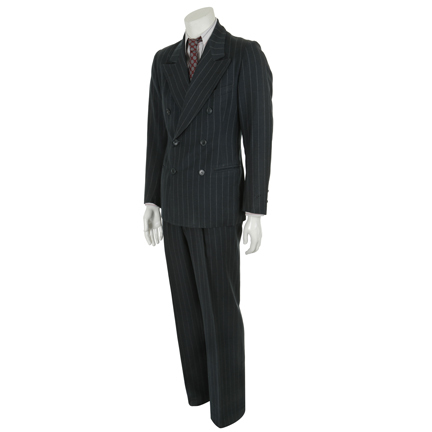 The two piece 1940’s vintage suit consists of a grey pinstripe double breast coat with peak lapel, slash pockets, two-button cuff, and matching flat front pants with two-button zipper fly. 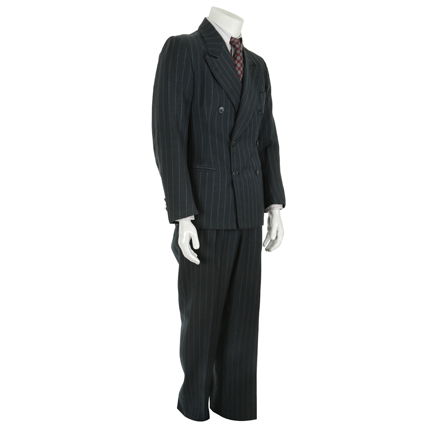 The suit is in excellent vintage condition and is accompanied by a certificate of authenticity from the costume house.